Aluminum, Birch Bark, Cedar, Roylex, Kevlar, Polyethylene, Poly link, RamX, FiberGlass, PVC, Hypalon,, and on and on..
We made some 35 years ago out of Canvas and redwood frames. stretched the Canvas on and painted it in an attempt to keep the water out. It worked wonderful... they were really light, and lasted at least 4 or 5 Boy Scout trips that I remember.. Most of you that have or have had canoes--may have a bias towards one material or anouther. Anouther bias may be the design. Long and narrow, short and fat, lots of rocker, lots of tumbletome, There are so many designs and yet many of the oldest designs seem to still be favorites amoung the most avid Canoe nimrods. What Canoe is the best all around canoe on the Market.? Now remember we need to be able to portage this canoe, so weight comes into play. We are going to use it lakes, streams, rivers, etc. Tell us what the perfect Alaska Canoe is to you. The Canoe design below is over 100 years old. Length: 16' 2"; Rocker: 2.5" bow, 2.5" stern; Beam: 33"; Center Depth: 14"; Weight: Kevlar, 42lbs, Fiberglass, 54 lbs; Price: $2,000; Website: www.esquif.com. The Champlain is a beautiful touring canoe from Esquif that arrived in Canoe & Kayak office too late for reviewer John Radel to paddle it, but managing editor Robin Stanton took it down the Snohomish River a couple of times and found it a joy to paddle. It glides through the water effortlessly, the cane seats are comfortable, and it's no trouble at all to lift it on and off your car. The boat was originally designed in the early 1900s by the legendary Peterborough Canoe Company of Ontario and has been brought back to life in Kevlar or fiberglass by Esquif. I got to go with the scanoe. it may be a little bit heavyer than some of the rest, but you can put a few more things in it and they are a little more stable than the rest. And of course the flat back to mount up a motor is a sweet option. You gotta love them for versitility and load capabilities. I see these babies strapped to the top of many a Alaskan camper. You can paddle them, put a little motor on them, and haul out a moose with all your gear in them. Like you said,, A little heavy to portage very far though. here is a real work of art, and they use this boat too. only $5,200.00 before shipping and of course Insurance . Is the one you buy right now. Cause then tomorrow you can use it. Then if you don't like it you can buy or build a better one next year, then you'll have two. I have two canoes and am thinking of building another one. A cedar strip 14 footer, a 17' aluminum with a transom and I'm thinking about building a 20 foot stitch and glue. Then I'll have three canoes...that's about right. ...the Esquif Champlain for what your needs are, AKcanoe, but the price is way up there! For scout troops, heavy (novice) use and abuse, it's really hard to beat a coleman 17' double-ender made from Ram-x, like the Odyssey model. The smaller Journey model isn't bad either. Downfall of the Odyssey is it is just over 70lbs, so that probably is too heavy for what you need. They are tough though, and require no maintenance to speak of. They'll fly off the top of the car and generally be okay <grin>. They are bathtubs on the water though, not very fast. I like the new Mad River IQ gunwale system, and you can add that to the Malecite canoe, made of Kevlar (expedition thickness), weight around 51 lbs, and price about the same as that Champlain. I've never owned a Kevlar craft though and not sure how easily they are patched. I switched to fiberglass some years ago after going through two Colemans after several thousand miles of lining loads upstream and dragging over rocks...found the Colemans hard to patch once they did develop holes. No perfect canoe for everything and price plays a big part in the decision, so it's always a trade off. If I had the bucks, I'd buy a new Mad River with the new gunwale system that allows all kinds of nifty options. You mentioned lots of materials but no one commented on pvc or hypalon. I have taken scanoes and other coleman canoes and aluminum down the swanson, but I would really like to know what you think about pvc or hypalon. Will the rock garden rip the crap out of them or do you think they would take it ok? How do those inflatables paddle on calm water like lakes, would they be good for the canoe trails? I tried to access the canoe test camparison michael listed in another post but couldnt get it to work, mabey something wrong with my computer. I know the inflatables are expensive but I was wondering how they would work down here on the peninsula. Do you have any in your fleet? Hypalon and PVC, and Neoprene are some of the materials that are used in Inflatables. I read Mike Strahan's canoe tests and If I remember they were used on moving water mostly. of the materials mentioned, Hypalon and PVC are slicker when you run up on rocks and gravel. Neoprene tends to be a bit more sticky. I have paddled the Swanson river itself in a PVC kayak, and had no problems with the rock garden, and little damage if any. One problem I have seen with inflatable canoes, is that some of them use fairly large tubes along the sides, and this makes it a bit harder to stay on track if you are solo. you have to reach out to strike the water, causing the boat to turn. If you could stroke your paddle straight up and down along the side of your canoe, your boat will be easier to keep straight. I have had to use a lot of " J " stroking to keep the fat tube types in line. the other option is to use oars. you can buy the " Oar Saddle " and it works good, but for a narrow stream like the Swanson is in spots, you need to be able to paddle, not oar. the Alaska Series boats has a canoe shaped much like a real canoe. It is made of PVC material and is very tough. It also comes with a http://www.alaskaseries.com/Tripper%20canoe.htmnifty little sock and transom so you can mount a small outboard motor on it and away you go. I have used this boat, and It worked great. It also resembles a real canoe in shape. and paddle like one. the pictures are impressive, but I have not used or been around one being used yet. Lots of great comments though on this boat, I see they are pushing the use of the " Oar Saddle" due to the reasons I mentioned earlier. Big tubes on the sides. Is also a Canoe type inflatable, Contact Tracy Harmon for details. he is at Alaska raft and kayak. I have also seen several other canoe/Kayak type inflatables of many different design, but I believe that for Alaska outback use, stay with something proven here in Alaska, something that will last for many years. check out the warranty on these boats, most carry at least a 5 year NO FAULT warranty. that is what I am looking for in an Inflatable canoe. I almost forgot,, You mentioned using the canoe to portage into the canoe trail system. these Inflatable mentioned above are a bit heavy for long portage.check out the weights on them and see what you think. Souris River Canoes. They are made in Canada. I think that they are one of the best to be had at any price. Our good friends in the boundary waters really like the Sauris canoes too. you have to admit, that there indeed some great manufactures of Canoes. My Dad always told me " A Man always feels a little better when he is riding a good looking horse". This is a picture of a souris canoe that took a beaten and floaten. I guss they are tough too. I'd definately opt for Kevlar for a boat I'd be portaging. I'd have to paddle a few to see which one is best. I currently have a Pelican, and it is far from best. Not only is the plastic hull heavy, but the bottom oilcans, and it is much harder to paddle than a better shaped hull. Old Town makes good canoes. The lighter ones are around 14', and a little expensive. 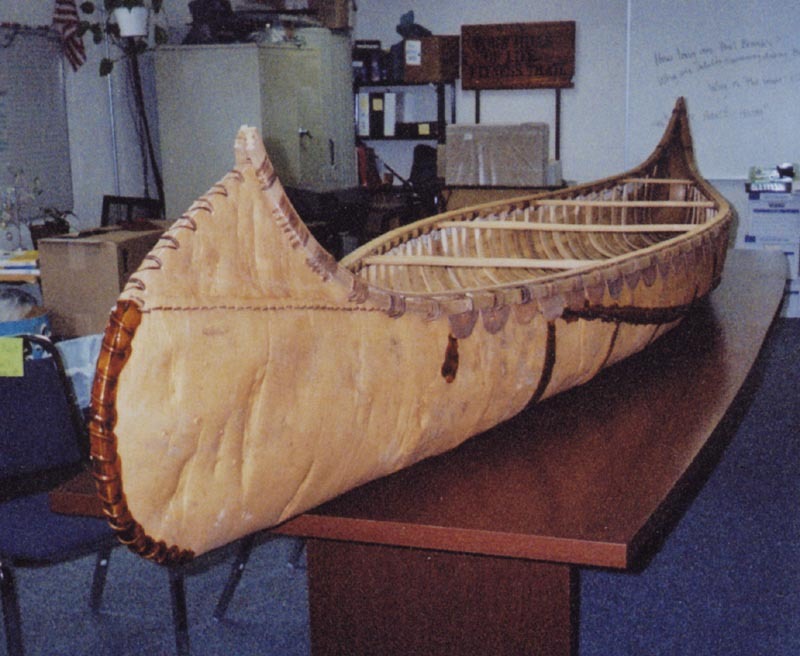 However, a canoe such as the Guide 160 goes for $629.00 at the local stores. I see several canoe rental stores where the Guide 160 is a favorite. Different strokes for diferent waters. Max is stirring the pot with this question and I know he's setting back with a chuckle watching the responses come in. I have a quiver of 9 canoes. In the quiver are 5 Clippers, 1 Sawyer, 1 Ally Collapsible and 2 Alaska Series Inflatable Canoes. . Depending on what I'm doing depends on which boat I take out. All my hard shell canoes are Kevlar including my white water solo clipper in the picture. Kevlar is the lightest, strongest and most efferent paddling material for canoes. It’s just a bit more expensive then some other materials used in making canoes. But in the grand scope of things Canoes are not a very expensive craft in general especially when compared to motorboats. This is why you can have one for every type paddling. For tandem touring and tandem paddling on rivers I use the Clipper Prospector 17. The prospector design has been around since the early 1800s. I think the original Prospector was a 16’canoe. There are many canoes that use variations of the Prospector design. This is the hull design I copied when I designed my Alaska Series 17C, 17’ Tripper canoe. Other canoes that simulate the Prospector design are the Old Town Tripper, the Old Town Discovery 169, and many others. The Champlain, Esquif also looks to be similar in its lines to the Prospector design. What makes this one of the best designs for river tripping is the way the hull is shaped at the waterline. The bottom arch from chine to chine is just enough for the right compromise between its initial stability and it’s secondary stability. The chine of the canoe is high on the side so the current tends to slip under the hull instead of grabbing it. This is real important for paddling in and out of an eddy and being able to lean the canoe. The keel line of the boat has enough rocker to make it easy to pivot and control your ferry angle. The stems are sharp for speed and with the high bow and bow flare it’s a very dry riding boat in rough water. My Prospector 17 is Clippers standard Kevlar lay-up. It’s plenty tough for wilderness river tripping; it holds about 1000 pounds of people and gear. Yet it only weights about 60 pounds. For the lake systems I like the ultra light Kevlar canoes. There is nothing better in a portage then a lightweight canoe! Unless maybe? You can get someone else to carry your boat? For tandem lake system paddling with gear I use the Clipper Cascade. The Cascade has a much flatter keel line then the prospector so it tracks across the lake very well. The chine is a bit lower along the sides of the canoe for great initial stability. This makes it a great canoe for fishing. The best part of all in the ultra light Kevlar lay-up it only weights about 50 pounds and it will carry about 1000 pounds. One of my favorite fun boats is my Clipper Probe. It’s a full on whitewater canoe. I’ve owned this boat for over 10 years. I leaned to Eskimo roll it soon after I got it. This white water play boat has taken me through a lot of exciting whitewater rides. I’ve taken it through the first and second canyons on 6-mile creek a few times, Gulkana River canyon a few times, Upper Willow creek, Eagle river Camp ground rapids and down through lower eagle river more times then I can count. The Kevlar dura-flex lay-up has proven to be tougher then the plastic boats my paddling buddies use. Many of their original plastic boats have been long retired after 5-6 years of whitewater abuse. The Clipper Probe is 12’6” and weights 46 pounds. For Fly out Wilderness Tripping I like to use inflatable canoes. They fold up small and are tougher then the frame and skin breakdown canoes or kayaks. For fly out wilderness tripping with two paddlers, I like my Alaska Series 17’ Tripper inflatable canoe. http://www.alaskaseries.com/Tripper%20canoe.htm I patterned the waterline after the 17’ prospector with a little arch and a little rocker the floor design. I also designed this boat a high chine like the prospector hull design. The first time I paddled the original proto type of the Alaska Series 17’ Tripper. I was with a group of friends paddling the upper Kenai. I was amazed that I had very little trouble keeping up with the group of hard shell tripping canoes. Most of the group was paddling tandem Royalex Old Towns and Mad River canoes. After the 4 testers paddled the inflatable canoes tested. 3 of the 4 inflatable canoe testers now own the Alaska Series 17’ Tripper. It’s a great choice for fly in Canoe river trips and tandem paddlers with lots of gear. For Fly out Wilderness tripping and solo paddling. I like my Alaska Series 14.3C Explorer inflatable Canoe. http://www.alaskaseries.com/inflatable_canoes.htm this canoe has the same beam as the tripper. It’s just shorter. The Explorer is big enough for tandem day tripping or solo paddling with a lot of gear. The Alaska Series Canoes are built with an I-Beam sidewall that is only 9” wide but 18” tall. This makes the canoe much easier to paddle a forward stroke. Most inflatable canoes build the sidewall with a single 15” to 18” diameter air cylinder making it a long reach to the outside of the canoe. The paddlers are more prone to do a sweep stroke instead of a forward stroke with this long reach, making it very difficult to control your canoe. This single cylinder design makes for more of a skinny raft then an easy paddling canoe. . Both my inflatable canoes come with a motor mount. You can drop a long shaft 2 HP outboard motor through the motor well behind the stern seat of the canoe. This motor well can also be pushed out under the boat to make them a self-bailing canoe. I’ve had my Sawyer for many years also. It’s an ultra light tandem racing canoe. It only weights 40 pounds and it’s very fast! But this canoe has a 28” water line and chine-to-chine it’s very round. It’s only 32” at the gunnels. So it’s on the tipsy side. When you’re in the stern you’d better make sure you’re paddling on the opposite side of the bow paddler and dip your paddle at the same time. Or you’re both going for a swim! I also have one of the original Ally Collapsible canoes. I’ve had this boat for close to 30 years. This is an 18’ canoe and pretty wide so it has a lot of carrying capacity. It has a PVC skin and aluminum tubing frame. It flexes a bit when you paddle so it absorbs a lot of your glide. In general it paddles like a barge. Though I’ve never damaged the framework this design is much more fragile then an inflatable canoe. I’ve used it on several fly in float trips through the 70s and 80s and moose hunting a few times. It’s only 45 pounds in the bag so a buddy and I take it as cargo in another tandem canoe and when we got a moose. We’d put it together and each of us would solo paddle the two loaded canoes out of the trail system. I’ve also owned an Old Town Tripper. This is a great boat! It’s along the Protector design but in Roylex. This was the first canoe I bought with my own money. It was in the 70s when I was a teenager. It’s been in Old Town’s line of canoes for a very long time and the Old Town Tripper is still one of the best tandem river canoes on the market today. I used my 16' Old Town Penboscot for every trip here in Maine. Weighs 50 lbs, takes a licking and keeps on ticking. St John, St. Croux, & Penobscot. Takes 2 people with dunage, dog, decoys. No maintance, just replace the caned seats every so often. it is so hard to beat the advantages of Roylex in an all around canoe. Penobscot paddles a little faster than the camper and a few others , its a bit more slender. I don't have any of the Penobscots in my rental fleet due to the fact that I have so many entry level people renting, and they like to fish from the boats, and haul a child or a dog with them. I need the added initial stability of the wider bottom for the above reasons, but with your good canoe skills the Penobscot has to be one of the top in the list of BEST all around canoe. I had an Old Town Tripper when I was stationed in Maine. We were on a trip and another tripper hit a rock and got bent around it to where the ends were just about touching and filled with water. We got it off the rock and it straightened right out and was used the rest of the trip with no problems, it even went straight. Very good canoes. I've found that most novices need to learn to kneel in a canoe. When they start down whitewater they sit. Once they kneel the canoe's center of gravity is lower, their confidence inproves, and they are ready for more whitewater. all these little canoe's are great but I like the old 19 FT squar end with a lift an a 15 HP outboard on it ,will go up most rivers as well as down, easy on gas also have a set of wheeles for moving it on land, an the bottom has alum. runners on it, a little heavy, but it is big, 40 in. wide an 19 FT long holds a lot of Equipment the canoe is 125 lbs but it is worth it, I think it is great on the Big Sue. I have just found a 19 foot grumman myself. I put a 5hp briggs and straton on it. She will do 12 mph on a lake. It seems to have a hull speed about 8mph, takes about 1/3 throttle. To go faster it takes a lot more power but its plenty fast at 8mph. Where would you suggest I look for a lift? Plan to do some scouting/camping in the upper Knik arm around the mouth of the Knik river next week.